As a publisher, I am constantly on the prowl for the next amazing story that will rock my world and be a good fit for my publishing company. And I love delegating tasks to my team. Especially marketing. While completely necessary, marketing is just the worst. (For me, anyway! I still learn everything I possibly can about it.) I love having a professional marketer who relishes promoting our books and is an expert in her field. It frees me up to be an expert in mine! As an editor, I thrive on making other’s words succinct and captivating. I love hacking sentences to pieces, celebrating especially captivating phrases, and gently explaining the rules to my authors. (There are so many!) Being an editor is my favorite of the three. 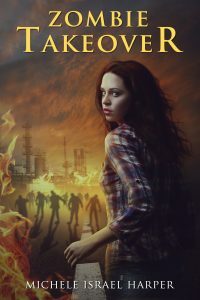 As a publisher, I get cornered at every opportunity and told about “this amazing book idea” an aspiring author has rolling about in his or her head. Write it down, people. I can’t read what hasn’t been put on paper, and neither can anyone else. You shove it at me; I will most likely read it. (I will. I love reading new material. So much.) But I can’t publish your ideas. I’m so sorry. Write. It. Down. End of rant. As an editor, a comma in the wrong place gives me ticks, and I’ve been known to yell at my computer screen when an author gets “that” happy. (You know: “The thing that I wanted” instead of “The thing I wanted”—see. Nervous tick. Right there.) 😉 Also, I now constantly edit every. single. word I read. Books just aren’t the same anymore. Sniff. On the other hand, a well-turned phrase can send me into squeals and happy dances, and I have to read it to everyone in sight. I am so sorry, random stranger. Yep. That was me. You just had to hear it. Let’s end in “The Good” again, shall we? “The Ugly” there is giving me the shivers. It sounds so terrible! As a publisher, my drive, my dream, and my passion is to bring quality books to life in this world hungry for the very best fiction. It’s important to me to have a professional cover, professional editors combing the manuscripts, professional formatting and interior design—notice the word professional? Quality matters, and I only hire the best. I want each of my authors to succeed. As an editor, I want each manuscript perfected, not a mistake in sight. That’s my goal every time I edit. I reference the CMOS, CWMS, Proofreading Secrets of Bestselling Authors by Kathy Ide, and Merriem-Webster’s Collegiate Dictionary often to stay on top of industry standard. And I take editing courses at every opportunity. (The EFA rocks!) Whether an author is published through my company or not, I want to give them my best. They deserve it. As an author, I write the stories I adore and want to read. I strive for quality, and, even though it’s extremely hard to have my own work edited, I love learning new things and refining my manuscripts. I also love to hear if I’ve made a mistake (weird, but true)—how else will I learn? Thank you so much, Ralene and everyone, for letting me share a slice of my world with you today! I loved spending time with you more than I can say! What about you? What is your favorite gift with which our Creator has crafted you? away furiously on her laptop. Sleep? Sometimes… A member of the Heartland Christian Writers, American Christian Fiction Writers, as well as the treasurer for the Indiana chapter of ACFW, Michele has her bachelor’s degree in History and can most often be found with her nose in a book when not chasing her two rambunctious boys or cuddling her new baby daughter. 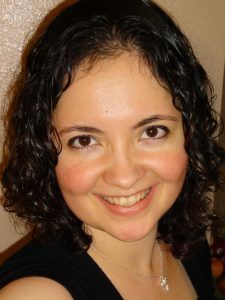 Visit her website at www.MicheleIsraelHarper.com to learn more about her. Michele has a new book coming out in a few weeks. You can find out a little more about the book at the below link. I’ll also be reading/reviewing the book in July! 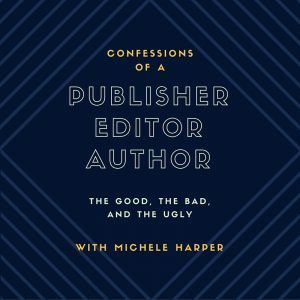 Tagged Author, Confessions, Editor, Guest Posts, L2RL2W Publishing, Michele Harper, Publisher. « Fab 5 Friday: Reboot! Great guest post! I love it! *waves* Hi, Michele! Hi, Ralene! I can clearly see we are soul sisters, Michele. hahahaha!! Okay, what I love most that God has gifted me with is being able to take things that don’t seem like they go together and somehow make them, well, go. Like in cooking or quilting. Not so much in my writing at this point, but man, I can take whatever I have in the fridge and create a meal my family wants me to make again. Seriously? As if I’ll EVER have the same leftovers again? Ha! And fabric … my friends often comment their amazement at how I can show them fabric before and the quilt after and they never could see how it would go until I showed them the finished product. I love doing that! Thank you so much for featuring me today, Ralene! I still get all little-girl excited when someone wants ME on his or her blog. Wow! God is good! 🙂 Thank you from the bottom of my heart!